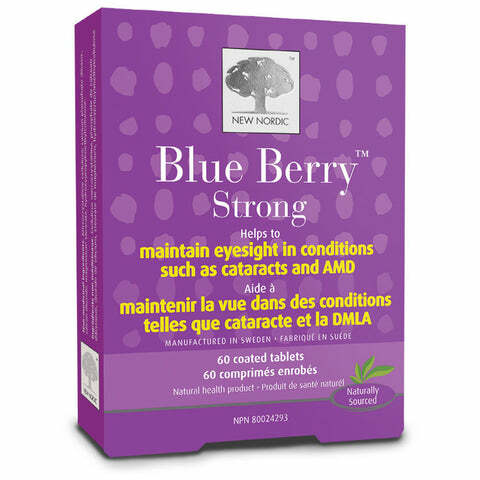 Take care of your vision with New Nordic’s Blue Berry Strong a natural health supplement that helps you to maintain healthy vision and mitigate the effects of macular degeneration and cataracts. Lutein (extracted from Marigold flower)(Tagetes erecta) 5 mg.
Bilberry extract (Vaccinium Myrtillus) (fruit) 5:1, extract 400 mg. Helps maintain a healthy eyesight. Adults: Take 2 tablets daily with any meal.